Each summer, the Great Lakes Fishery Commission (GLFC) holds its Annual Meeting. The Annual Meeting is probably the highlight of the GLFC meeting schedule because it showcases the successes and progress the GLFC has made over the past year. Thus, the Annual Meeting is full of back-to-back presentations detailing a variety of topics, mainly completed projects, interesting and relevant research project results, and innovative ideas and concepts for future research projects. There is usually an Executive Meeting and Luncheon at each Annual Meeting. The Executive Meeting is normally open to Commissioners and Secretariat members only, though I was able to attend (because of my Fenske Fellow status, I have received admittance into many of these private meetings!). During this meeting, the Secretariat members give brief presentations on the status of each of the programs they manage to the Commissioners. For example, Dr. Marc Gaden (Communications Director and Legislative Liaison) gave a presentation on outreach and education events sponsored by the GLFC in the past year. Dr. John Dettmers (Director of Fisheries Management) gave a presentation on the status of the GLFC Fishery Research Program. 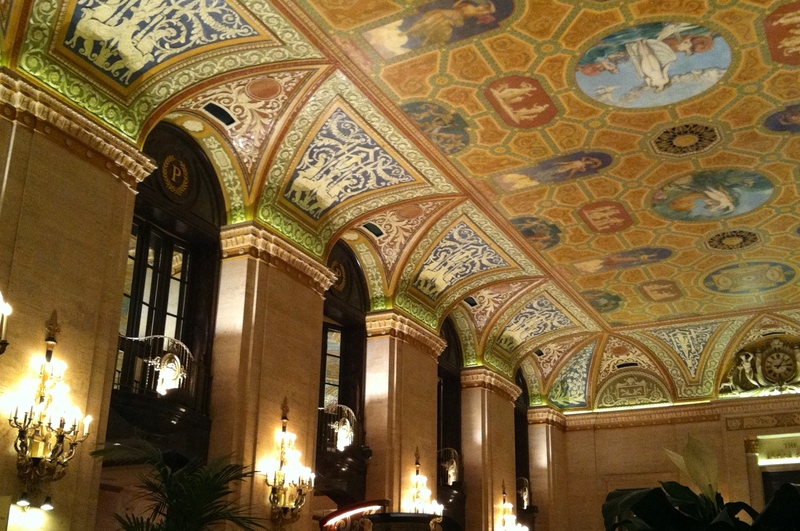 The Palmer House Hilton Chicago is breathtaking! While I was there, I used my time at the Annual Meeting to meet individually with Bob Lambe (GLFC) and Dr. Bill Taylor (MSU) to discuss my experiences with the GLFC thus far. I expressed to them that my involvement in meetings such as this one has helped me gain a better understanding of the structure and function of the Commission. 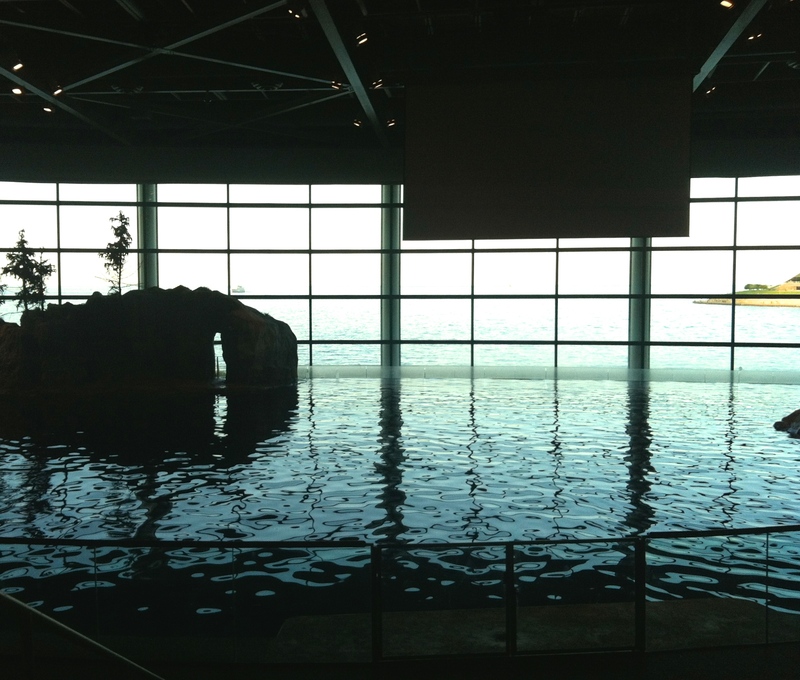 One of the highlights of this trip was a special reception at the Shedd Aquarium in downtown Chicago, Illinois. I had a wonderful evening eating good food and watching the dolphins swim. My status as Fenske Fellow does not officially begin until September of this year. Therefore, I have been grateful for the opportunities to learn about the GLFC through observation and active participation in these meetings. I am looking forward to developing the relationships I have made with the GLFC Secretariat, U.S. and Canadian Commissioners, and the Law Enforcement Committee. LESSON #5: It is important to ask questions, because that is how you learn. It also helps in making new connections.